Eventually, we are happy to announce the launch of our blog! 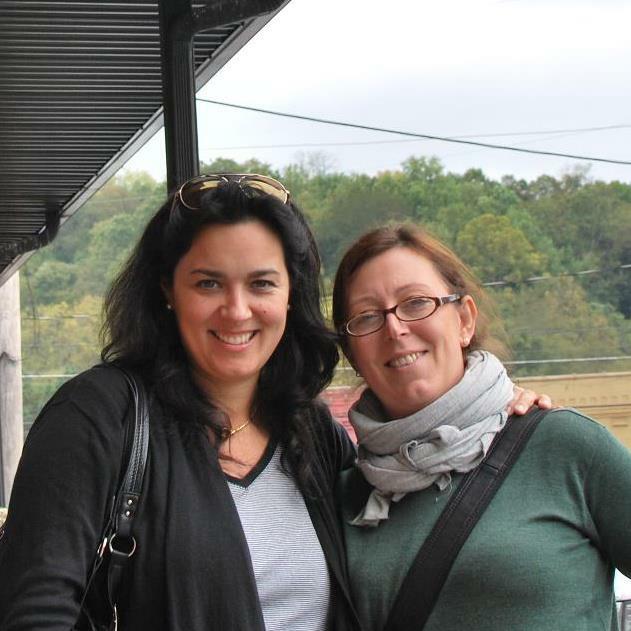 This blog is the result of a virtual and real friendship born two years ago between us, two Italian moms, immediately after we moved to the United States with our families. Soon we discovered to live two parallel lives, one in Maine and one in Texas (now Tennessee): we both are moms on a sabbatical leave and study on our MBAs, we share the common passion for cooking and photography, and in our “spare” time we run after our Labrador dogs who try to steal everything they can find from the counter. After six months of on-line friendship, we eventually met in Torino, our home town. We wished we could live closer, but thanks to social technologies and our Facebook page “Le cu-Gine d’America” (which in English means “The American cousins”) we connect often to exchange our recipe ideas and experiences of our lives abroad. This blog is our new project, which will describe our culinary and photographic journey and beyond – with other topics like traveling, living abroad, parenting, crafting – from our perspective as Italian moms living in the U.S.A. Delicious food inspirations and beyond. Thank you my friend. I hope you’ll find an inspiration for some of your dinners.